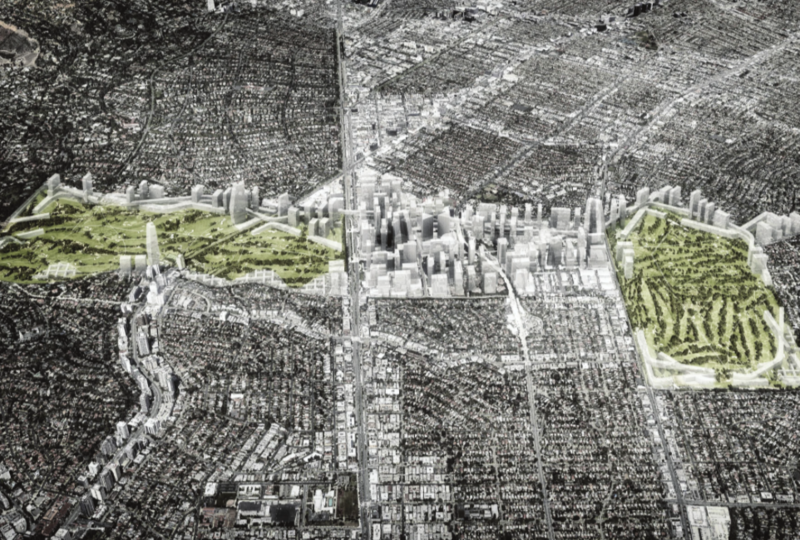 What will Los Angeles look like in 5 years? 10 years? How about the year 2050? In the aftermath of November’s historic presidential election, we are reminded of how California stands as beacon to the world in the realms of social progress, cultural inclusion and environmental sustainability. 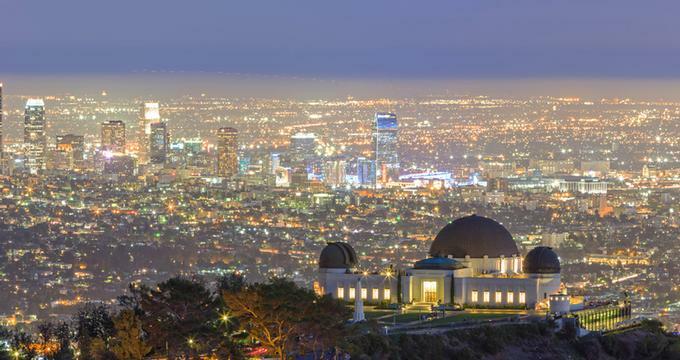 Los Angeles is the third largest metropolitan economy in the world, and the city has been privy to a powerful economic resurgence that is visible in the construction cranes towering the Downtown Los Angeles to Hollywood Blvd skyline. It is projected that city will welcome nearly 1.5 million new residents by 2050 – meaning the total population will swell to over 12 million. How will Los Angeles – a city infamous for palm trees, celebrities, and suburban sprawl – address the growing population needs of tomorrow? What types of solutions will address our challenges with urban sprawl, public transportation and affordable housing? 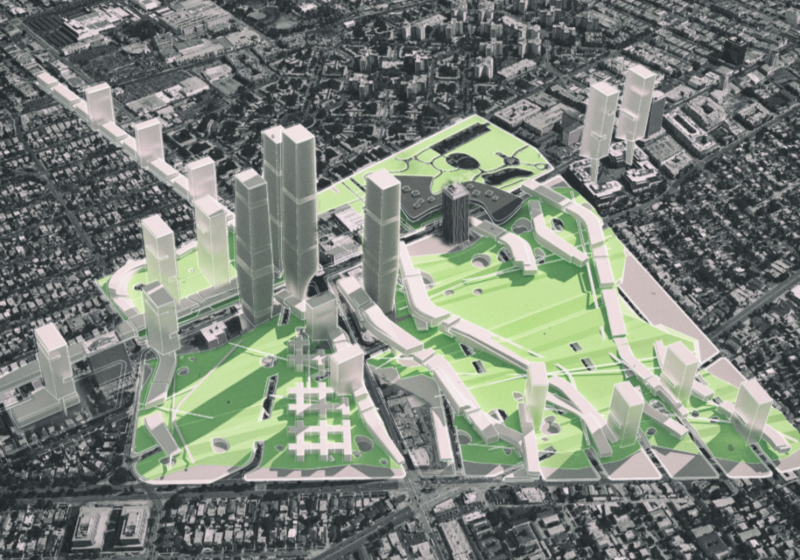 Imagine the Los Angeles of 2050 with a skyline that rivals the glass towers of Manhattan. The NOW Institute of UCLA recently unveiled a proposal to address LA’s future population growth by placing nearly 1 million new residents along the Wilshire Corridor. Spanning 16 miles from Santa Monica to Downtown LA, Wilshire Blvd represents the rich economic, cultural and physical diversity of the LA region. Pritzker Prize winning architect and UCLA Professor Thom Mayne believes higher density levels will improve energy efficiency and decrease congestion levels through the adoption of mixed use development practices. By focusing new housing development on 1% of the city’s total land area, the proposal revitalizes new neighborhoods while preserving the natural landscape and historic character of the surrounding community. Lucky for Los Angeles residents, we are one step closer to addressing our transit and housing demands through the recent approval of the $120-billion-dollar expansion to the LA Metro System. Public transit will shorten commute times and spur housing development along new transit routes. Metro Chief Executive Officer Phil Washington hopes that the new expansion will convert 20% to 25% of the county’s population into regular transit riders – nearly three times the current rate. As Mayor Eric M Garcetti said, “sprawl has hit a wall in LA”. The city is becoming denser, and this densification strategy will meet the demand for affordable housing as developers focus investment in more walkable and pedestrian friendly transit oriented neighborhoods. Los Angeles city planners are historically ambivalent towards taller buildings, but the growth of vertical living is critical for the future of Los Angeles when rent costs the average resident nearly half of his income. No city is sustainable without a robust middle class. Densification strategies have been met with sharp resistance from preservationists, but smart growth practices have the power to transform city spaces by opening new channels for small business development and keeping the region competitive to attract new industry and talent on a global scale. Architecturally diverse and culturally rich, the future of Los Angeles is a pedestrian friendly, public transit oriented metropolitan oasis developed around the principles of smart growth and social innovation. No matter your political affiliation, the Los Angeles of tomorrow offers something everyone can look forward to.